Yet ask Ben Josephson about what was most important on Sunday in his program’s quest for a third U Sports national crown in the last four seasons, and the longtime TWU head coach was clear that it was going to be as much about the small details as it would be about summoning the forces of nature on his roster. Combined, all of that made the No 2-ranked Spartans as unstoppable as they’ve been in the last decade-plus of national championship appearances. Sunday’s 3-0 (25-23, 25-21, 25-19) sweep of the No. 1 Brandon Bobcats in the U Sports championship game at the University of Laval, was a definitive statement for the ages from a program which has made a lot of them over 14 trips to the big dance, including the last 10 straight, all of which have produced now six national titles and counting. It was a win made all the more impressive by the fact that it came on the heels of a marathon 3-2 (25-22, 23-25, 19-25, 25-17, 15-6) semifinal win the night before against a host Rouge et Or team who play in one of the most intimidating gyms in the nation. Yet the bottom line was that whatever they had tried to do this season against Brandon, it seemed that the Bobcats were the Spartans’ Achilles heel. Back in early January, coming out of the holiday break, the Bobcats did the unthinkable by sweeping the Spartans on back-to-back nights by identical 3-0 scores. 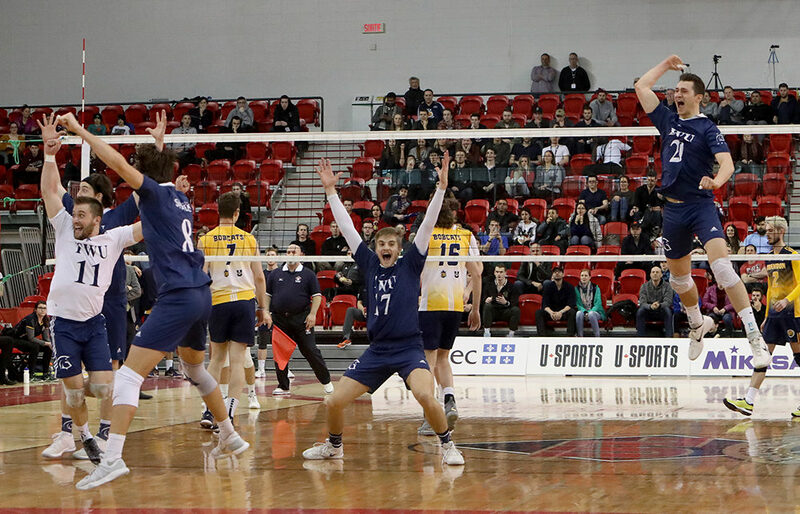 Then, in the Canada West conference’s championship finals, again in Brandon, the Bobcats beat Trinity Western 15-12 in a fifth and deciding set for a third straight win this season. As Josephson autopsied that most recent defeat, he became more convinced that despite his team’s obvious attacking strengths, other factors were keeping the Spartans from beating a foe they would likely have to face at some stage of the national tournament. 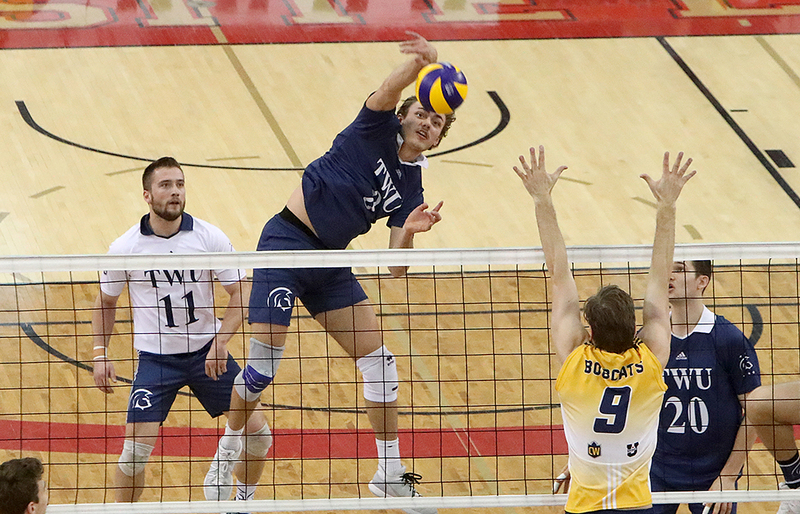 On Sunday, it was as subtle as the way the team’s veteran fifth-year libero, Carter Bergen, put talented freshman outside hitter Brodie Hofer into situations where he could be successful in reception. On the biggest stage of his university career, the 6-foot-6 Hofer was able to play to his strengths, and his nine kills were key in keeping the Spartans in their offensive rhythm. 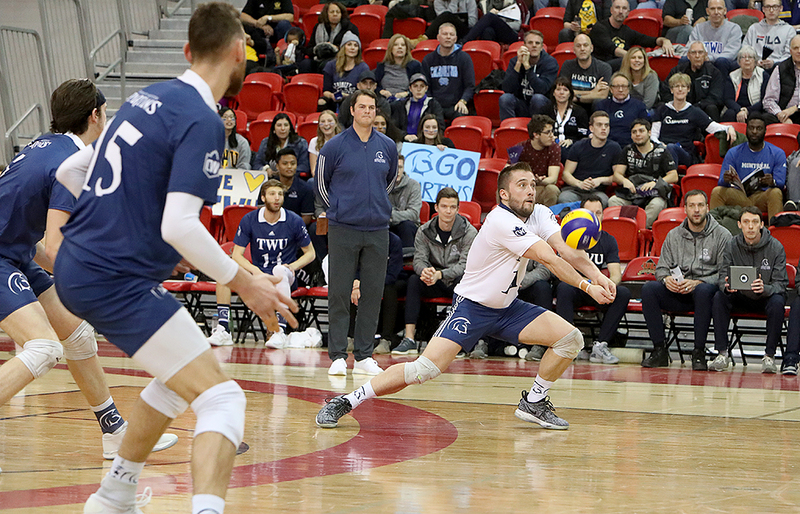 It was also the way second-year setter Derek Epp changed up his regular sequences, trusting that Brandon had studied him so closely that they knew precisely what he was going to do in any given situation, and that he had to step outside the box. In the end, those little things allowed the Spartans’ big hitters to just do their thing and swing hard. There wasn’t much question that the Spartans were in command from start to finish on Sunday, and if there was one stretch in which it seemed they built their greatest momentum, it was midway through the second set. Eric Loeppky, the star third-year outside hitter, went ace, kill, ace, kill for an 11-9 lead. That was followed by a Jackson Howe kill, a Jacob Kern ace, and a great Spartans’ block on the outside for a 14-10 lead. Afterward, Loeppky, picked the tournament’s MVP, said he and his teammate were still riding high from the previous night’s semi-final win over Laval and playing off of that aggressive mindset was paramount in the final. “Last night was a whole different beat with the home crowd in here,” said Loeppky. “It felt great to be able to grind out a win, and today, we just wanted to bring the same energy we had in the fourth- and the fifth-sets (Saturday) because we just felt unbeatable. In the three-set match, Kern led the way with 14 kills, Loeppky had 11, Hofer nine and middle Jackson Howe another seven. Yet was it the most dominant performance TWU has yet managed in a national final? Josephson is quick to correctly reference the school’s first-ever men’s national volleyball championship team back in 2006, one which was coached by Ron Pike and featured Josephson as an assistant. 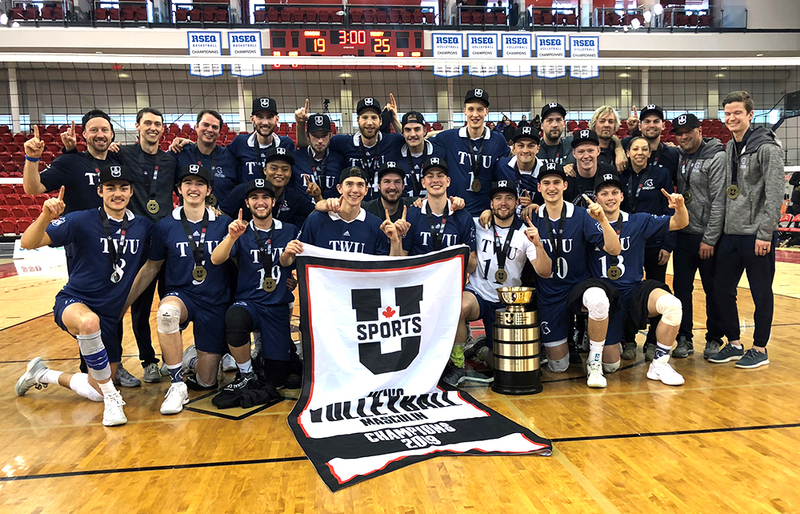 That season, Trinity Western unseated a powerhouse Alberta Golden Bears team which was making its fifth-straight national finals appearance in the title match by an eye-opening 3-0 sweep, including a dominant second-set win by a 25-8 count. The Spartans were 1-29 in Canada West conference play all-time against Alberta heading into that national tournament. Still, Josephson loved to appreciate his current team and the great things they did Sunday. He couldn’t have been any more impressed with the way they handled their business.